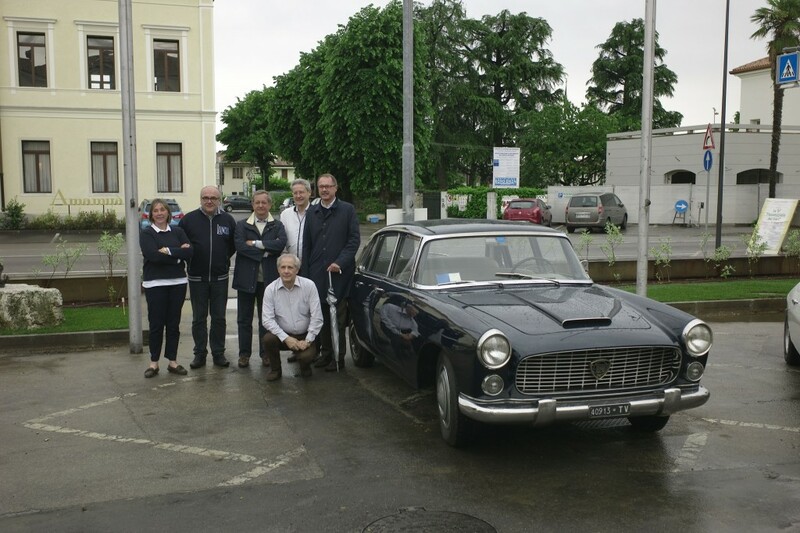 A conference on the Aurelia took place Saturday, May 12 at Volpago del Montello (north of Treviso), birthplace of Engineer Ugo Gobbato (General Manager of Alfa Romeo in the 40’s and the father of Eng. Pier Ugo). Called “L’innovazione di Gianni Lancia: l’Aurelia”, it was put on by Parolin Marino, President Club, and organized by Getulio Ferri. 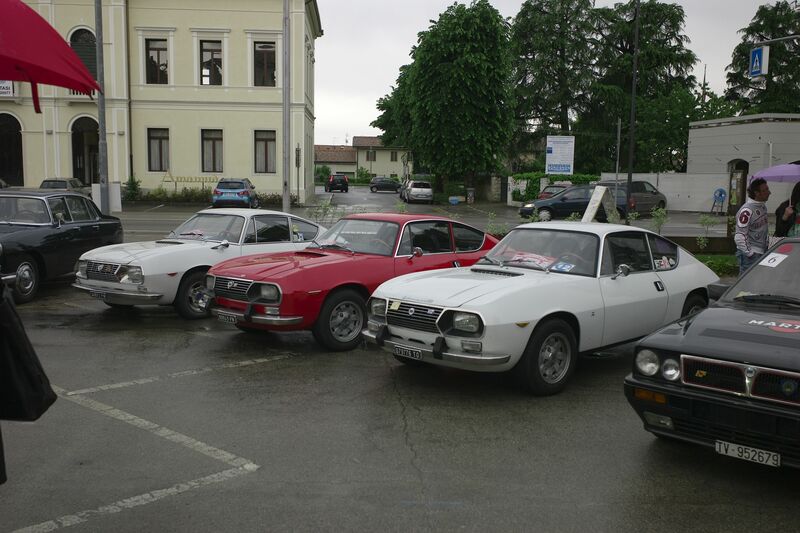 The conference began with Marcello Minerbi and featured a DVD of Lancia made some years ago by Fiat, with interesting historical information and images. 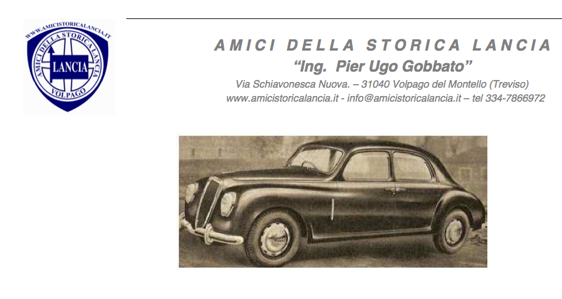 Also presenting was Giuseppe Marelli, a racer of the Aurelia years ago. The team of Giovanni De Virgilio, his brother Luigi and myself began after Marcello. I started presenting slides from the book in english, which Giovanni translated and commented on. Luigi’s added to this if anything was overlooked or needed correction. It went well although was more in detail than the audience expected (my fault! ); Franco De Virgilio had a long and interesting career: it was important to tell the full story. Outside the conference were found a number of Aurelias and other Lancias, lovely to see. 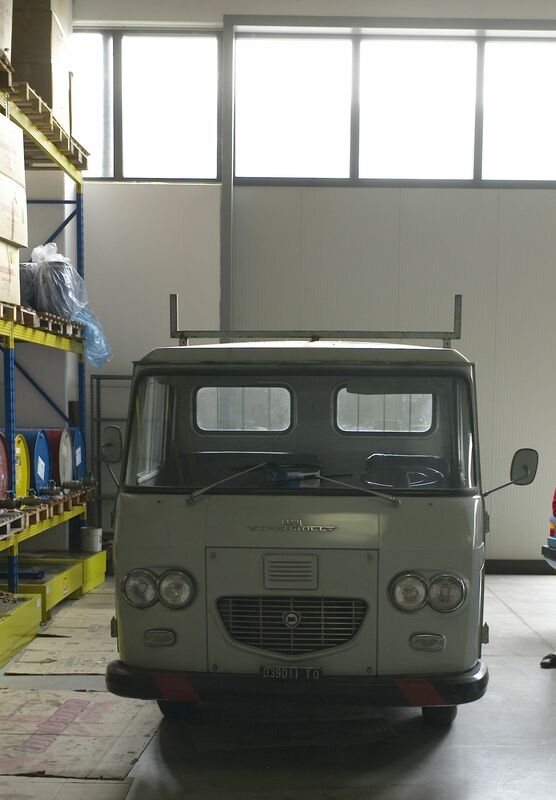 There was a very nice Flaminia sedan and a number of Fulvia Zagatos. at the conference: Manfredi Lancia (center) and his wife (left), organizer Getulio Ferri (right) and Luigi De Virgilio (kneeling). After the conference, there was a glorious dinner, full of good company and even more food. 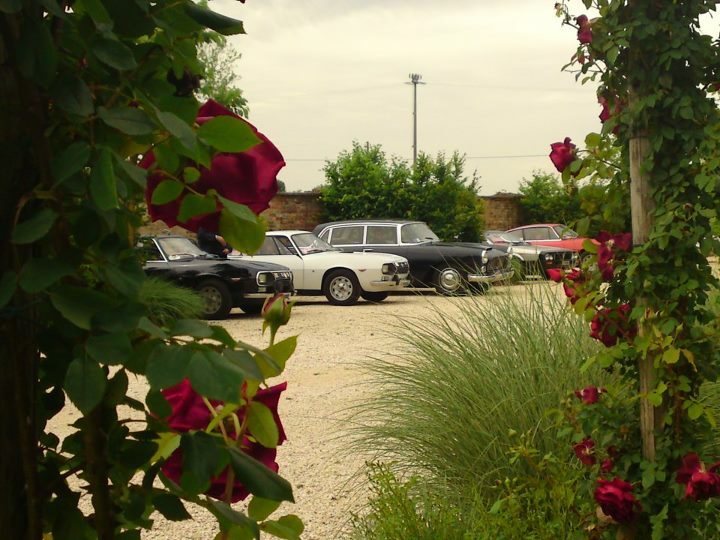 The following day, a few of us went to visit a collection of Fulvia Zagatos, including one of the first four made, along with Gamma coupes, and a couple of Super Jollys. Unusual but nice to see all together. 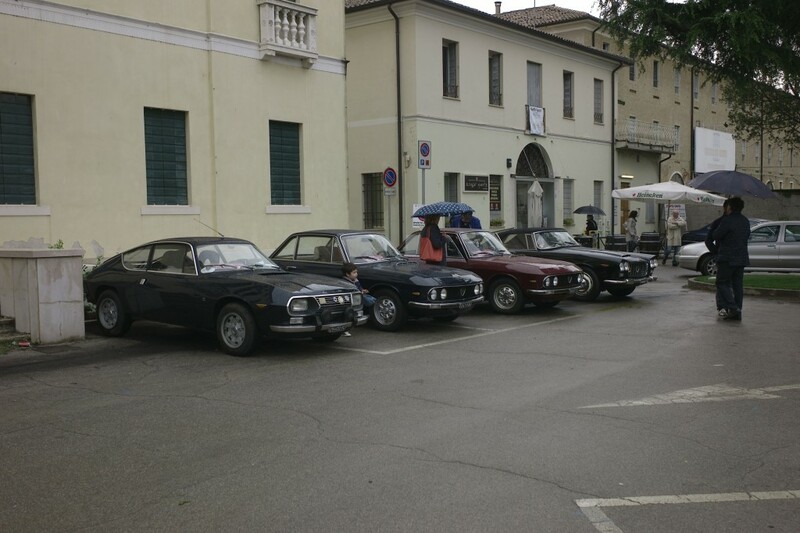 For those who are interested, there is an Aurelia meeting in Valsesia (near Fobello) in September as well.